Well’s do still need maintaining even if they are being used constantly. They are no different to a building, car or mains water pipe. Silt can build up, damage or bricks can shift, blockages and cracks can appear. When wells were in constant use every 10 or 20 years people would come and clean the inside of well. These people were called “well scrubbers” and the name gave it away, they scrubbed the well. They would also coat the brick lining with a natural anti bacterial chemical so that it stayed safe for drinking water purposes. We offer that exact same service which can rejuvenate the water flow into the well and also bring a higher quality of water not only by removing and killing the bacteria which has built up over the years but to allow more water to flow into and out of the well water system itself. We can use original ways or 21st century ways to clean the well. 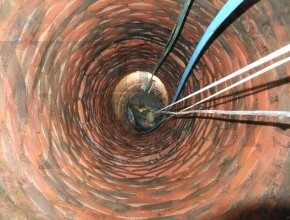 If the well does not need scrubbing the top hole or well top may need maintenance to ensure it is safe and that no rain water or surface water contamination is getting into the well. Filtration and pumps may also need regular maintenance which we can provide at a professional and competitive rate. We can setup a regular or annual service for your equipment and can set it up so it is automatic. Our system will let us know when your system is nearly due a service and we will contact you 2 weeks before hand to arrange a convenient time to visit and conduct the service. Well pumps may require servicing or cleaning and we can ensure this is done regularly to maintain its perfect working order. If a pump is slightly clogged or has slight silt build up it will use more electric because the pump is trying to pump what it is specified to pump to. This means the pump will be working harder using more electric and making the running costs higher just to maintain the water flow and water pressure.